This is a good new to all the Indians living in abroad who love watching Sinhala TV channels but cannot since your service provider cannot broadcast the channel on your TV. YuppTV understands you love watching musical shows and listen to beautiful music and happy to bring you Channel C online so you can watch it live.  Channel C is a sinhala music channel that telecasts all your favorite musical shows, movie songs, music videos and host of other programmes. Some of the programmes include 'Live in concert' that telecasts performances from famous music artists, 'C Mix' that offers 2 hours of non-stop latest music back-to-back, 'Chart Show' that plays ten most popular music videos and other similar shows. So the channel covers all the popular sinhala music shows and concerts that are current and trending. So if you are missing some memorable sinhala music then it is time to cherish them with Channel C live on YuppTV and live that magical musical moments again.